In a two minute video by wonderfulengineering.com on its Facebook page, list of 5 worst national airlines was shared. In this video, possible reasons for inclusion of these airlines in worst airlines is also stated. First thing to keep in mind that they included only national (state owned) airlines in this list, probably their might be many other even worst airlines than these. Secondly the criteria was based on few things; percentage of delayed flights, in-flight entertainment, Customer Service, Foods etc. In 1970's PIA was regarded as Aisa's best airline. 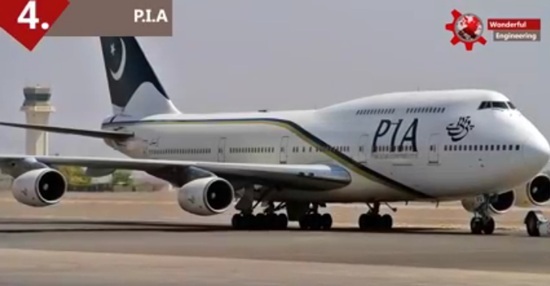 It was the time when PIA also provides technical and administrative assistance or leased planes to many foreign airlines including Somali Airlines, Philippine Airlines, Air Malta and Yemenia. PIA also helped establish Emirates Airlines by leasing two of its airplanes. But now PIA owned only 35 air-crafts and there are about 18000 employees. Being a patriot Pakistani, we pray for the revival of Pakistan International Airlines and wish to see PIA flights around the world so it can gain once again its past days glory.